For the 7th year Bob attended a painting workshop given by Taos artist/potter Stephen Kilborn this week. A Friday evening gallery show wraps up the class with each participant entering one of their works from the week. 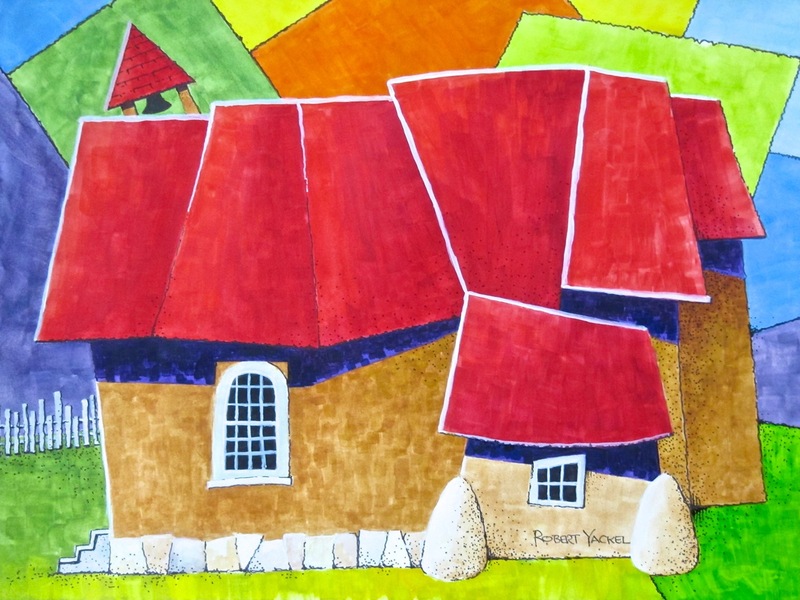 As of Friday morning Bob was undecided which of the two paintings below he will enter, either the Taos Courtyard in a vignette style or a more abstracted view of the old Arroyo Seco adobe church. 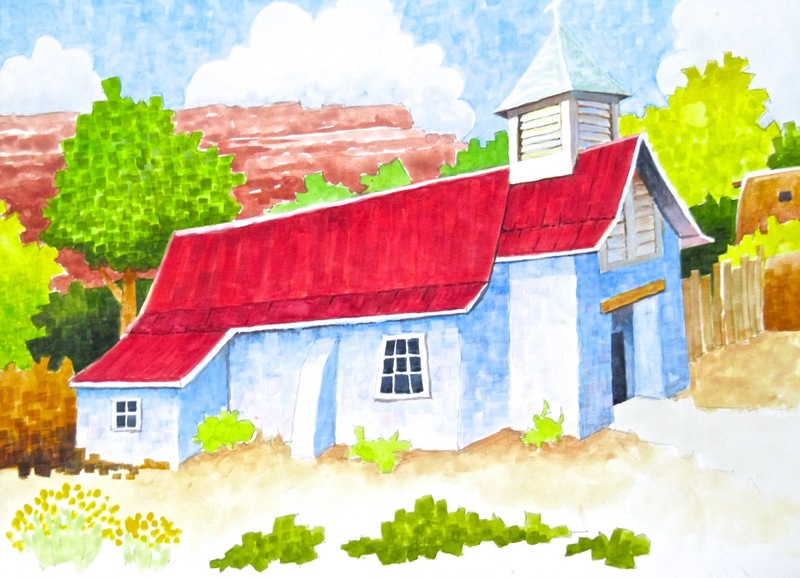 Today he will finish a painting of the chapel at Pilar and perhaps start one of the Talpa church, another of his favorite subjects in the Taos area. A successful and inspiring week. 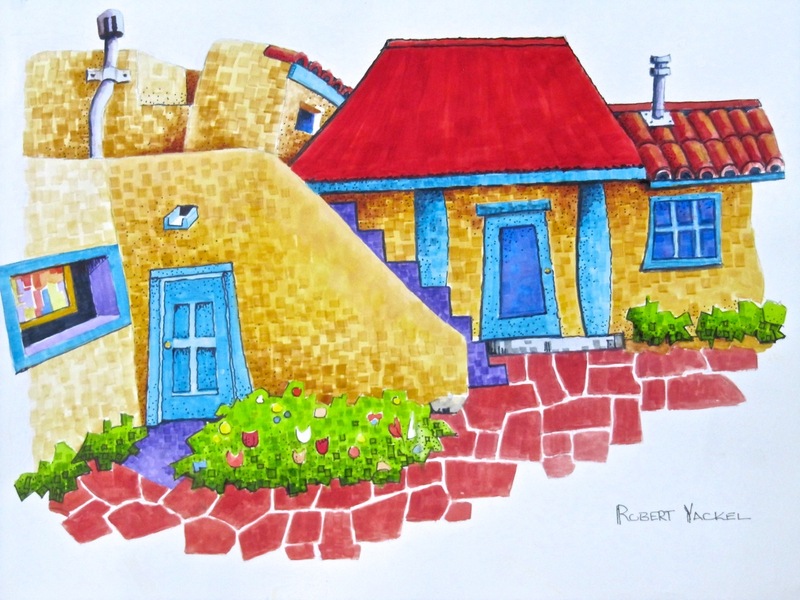 This entry was posted on August 22, 2014 at 8:20 am and is filed under Art, Art Show, Paintings, Watercolors. You can follow any responses to this entry through the RSS 2.0 feed. You can leave a response, or trackback from your own site.